The cops were back in Need for Speed III: Hot Pursuit, and they were looking to make up for lost time. Unlike the police in The Need for Speed, these guys had a few tricks up their sleeve to keep peace. Spike belts, roadblocks, and more-aggressive artificial intelligence made getting by the cops in Hot Pursuit more difficult. They also had more powerful cars, including a turbocharged Eagle Talon coupe and Lamborghini LM002 SUV. One other cool thing about the chases in Hot Pursuit was the cops getting on the bullhorn during a chase, encouraging you to pull over. 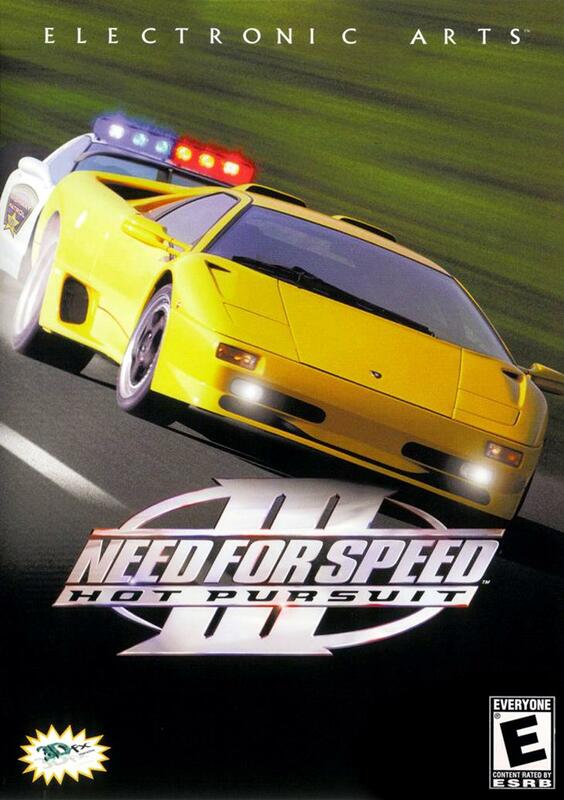 Hot Pursuit was the first Need for Speed game to go completely 3D in every scene, as previous games were complemented by video. Graphics improved significantly as well, setting a benchmark for future titles. Multiplayer options were available for the first time in the Need for Speed universe, beginning a long-standing party tradition of trying to out-maneuver your friends on the track. The supercar theme continued in Hot Pursuit, with ten to choose from, including a Ferrari 355 Maranello, Aston Martin DB7 and Mercedes-Benz SL600. There were also two bonus vehicles, with the most interesting being the El Niño, a curvy two-door coupe that went like the wind but handled like a shopping cart. With nine tracks in total (eight and a hidden bonus course) and new, highly-powered police cruisers, evading capture in Hot Pursuit was tougher than it was in The Need for Speed. To hear the police talk while racing, type "bullhorn" on the game setup screen. To enable all cars, type "allcars" at the game setup screen. Note: This only works for multiplayer mode.